Indonesia’s state ideology Pancasila commits the country to “Belief in the one and only God”. Religion or belief identities are tightly restricted. Under the blasphemy law, not only criticism, but even promotion of certain beliefs, including atheism, is criminalized. The country’s blasphemy law makes it illegal to promote atheism, or any faith other than the six religious identities permitted in law. Article 156(a) of the country’s criminal code also punishes “disseminating information aimed at inciting religious hatred or hostility” with up to five years in prison. Although the constitution guarantees freedom of expression, criticism of religion is severely restricted and support for atheism is effectively banned. Since 2011, authorities in Aceh have cracked down on “punks” for supposedly insulting Islam. Those rounded up by police are subjected to “reeducation,” which includes the forcible shaving of their punk-rock hairstyles and a traditional cleansing ceremony. Freedom of expression is otherwise generally upheld, though censorship and self-censorship of books and films for allegedly obscene or “blasphemous” content is fairly common. In January 2012, Alexander Aan, an Indonesian civil servant in the province of West Sumatra, was arrested after being attacked by a mob of Muslim militants. The mob was reacting to statements Aan made on Facebook which criticized Islam and said he had left Islam and become an atheist. The police charged Aan on three separate counts: insulting religion (which has a maximum sentence of five years jail), the electronic transmission of defamatory comments (six years jail), and false reporting on an official form (six years jail). The charges of blasphemy and defamation related to his criticism of Islam on Facebook. The final charge claimed that his application for his civil service job falsely stated he was Muslim when he was in fact an atheist, despite “atheist” not being a valid entry on identity forms. 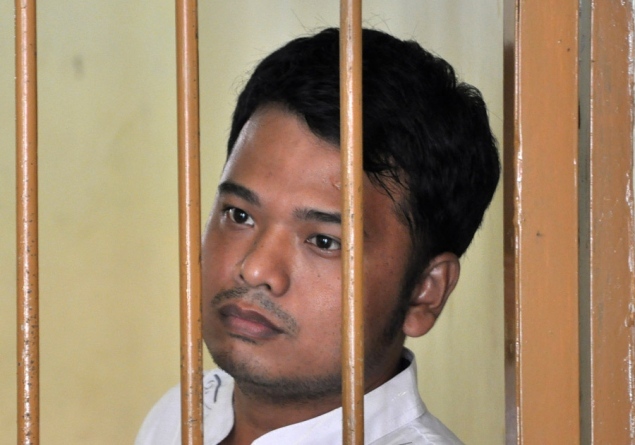 On June 14, 2012, a district court sentenced atheist Alexander Aan to two years and six months in prison for “spreading information inciting religious hatred and animosity.” Aan was also reportedly fined 100 million rupiah (US $10,600). He was released in February 2014.